Heat 1 cup oil and 1 clove garlic in a Lodge Logic 12" Cast Iron Skillet over medium heat. Add bread, and cook, tossing often, until golden brown and crisp, about 5 minutes. Transfer to paper towels to drain, and set aside. Preheat your Yoder Smokers YS640 Pellet Smoker to 500ºF set up for direct grilling with GrillGrates. Lightly rub the cut surface of the lettuce hearts with grape seed oil. Season with salt and pepper. 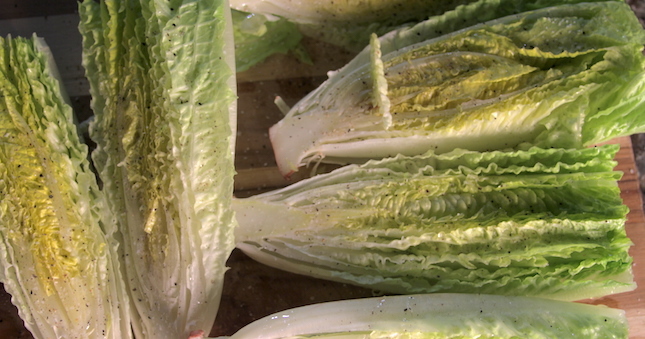 Quickly grill the romaine cut side down to get grill marks. Don’t totally wilt the lettuce. 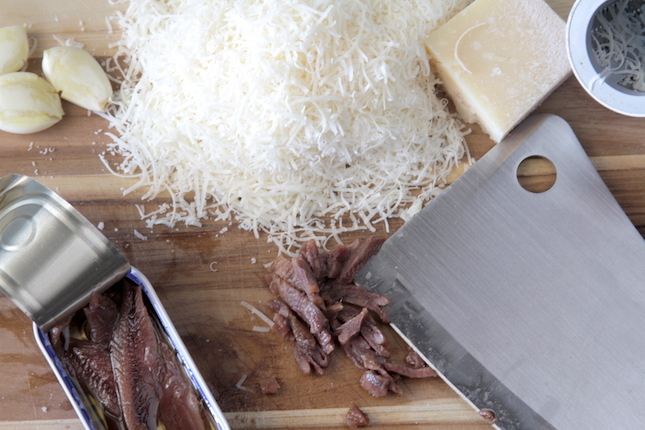 In a food processor, combine half of the parmesan, the lemon juice, Rubin’s Red hot sauce, Worcestershire, anchovies and black pepper and process until smooth. Then, with the processor running, slowly add the extra virgin olive oil. Taste and season as necessary. 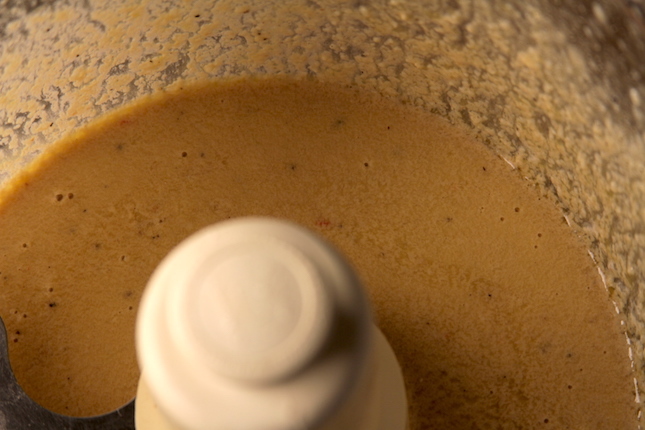 Roughly chop lettuce leaves, and toss in a bowl to coat in dressing. 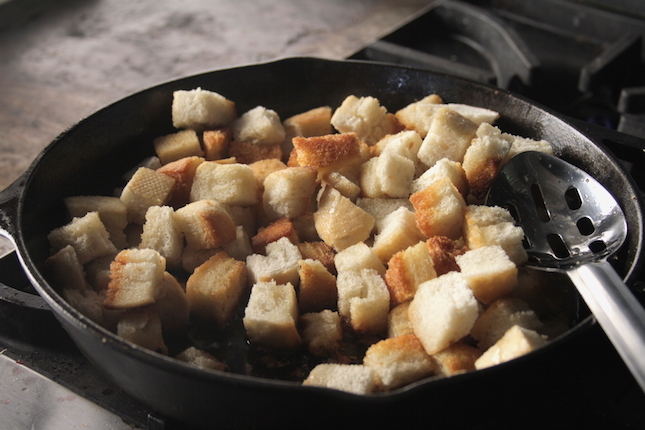 Add reserved crouton and remaining Parmesan and toss until evenly combined; serve immediately.